Chorley were condemned to their first defeat to the season by a spirited Bradford (Park Avenue). The two sides cancelled each other out in the first-half, failing to showcase the attacking flair that both promotion-chasers possess. Chorley did, however, demonstrate the defensive steel that allowed them to head into the game with an unblemished record. The best opportunity of an otherwise uneventful first-half fell to Bradford’s Oli Johnson, but Matt Urwin was on-hand to deny the forward from close-range. The hosts are also renowned for being resolute in their defending and frustrated the Magpies’ array of attacking talent. Luca Havern shepherded Marcus Carver wide to force the shot to come from an acute angle and Steven Drench produced an impressive to stop to thwart Josh O’Keefe. Bradford were given a scare when Elliot Newby advanced at an alarmingly quick pace but his attempted through ball to Marcus Carver rolled through to a grateful Drench. As the half-time break approached, both sides began to knock on the door and set the wheels in motion for an entertaining second-half. Chorley had a golden opportunity to take the lead after the break when Louis Almond connected with Adam Blakeman’s cross, but the Magpies defender nodded over the crossbar from 3-yards out. Almond then latched on to a pass from Challoner but Drench produced a vital save when the forward poked towards the bottom right-hand corner. The early Chorley chances seemed to rally Bradford, who began attacking with an increased sense of urgency. Lewis Knight found Oli Johnson in the box and Urwin had to react swiftly in order to push the forward’s flick wide. Knight then clipped into the box from the byline and found Jamie Spencer, whose header looped into the grateful clutches of the Chorley stopper. Urwin then had to be alert to deny Nicky Wroe and Knight but Bradford eventually found a way through. The hosts protested fiercely to the referee after Conor Branson was felled and the referee judged the incident to have taken place outside of the box. Mark Bower’s side, however, made the most of the opportunity. Knight’s free-kick delivery found the head of an on-rushing Beesley, who steered past the Magpies goalkeeper to edge Bradford ahead and silence the travelling supporters. Minutes later, Chorley were denied an immediate reply when Courtney Meppen-Walter saw a header hooked off the line by Jamie Spencer in dramatic fashion after meeting a delivery from the left. With just three minutes remaining on the clock, Drench performed heroics to retain Bradford’s lead as he tipped Josh Wilson’s header over the woodwork. 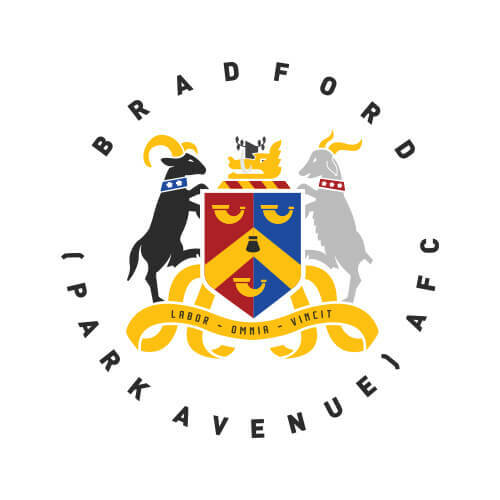 Bradford (Park Avenue): Drench, Ross, Lowe, Wroe, Killock (c), Havern, Spencer (Nowakowski 86′), Branson, Beesley, Johnson (McKenna 71′), Knight (Clee 90+5′). Chorley: Urwin, Challoner, Blakeman, Teague (c), Leather, Meppen-Walter (Wilson 82′), A. Newby (Glynn 66′), O’Keefe, Carver, Almond, E. Newby. Unused substitutes: Whitham, Cottrell, Anson.